DDI is a full service trial consulting firm which offers telephone surveys, pre-trial jury research, hourly consultation, witness preparation, jury selection, trial monitoring, shadow juries, and post trial interviews. We are also able to provide graphics assistance and consultation. While our practice is focused on complex civil litigation, DDI handles civil cases of all sizes as well as criminal matters. DDI offers many types of Telephone Attitude Surveys, including surveys of attitudes toward the parties and issues, as well as the case. Change of venue surveys are also available. The scope of the survey as well as the sample size is determined in concert with the client. These surveys can be useful for gaining an understanding of the trial venue as well as for jury selection purposes. Focus Group Research is exploratory in nature and allows the attitudes and viewpoints which emerge from the research participants to drive much of the discussions. This research is used early on in complex cases (before discovery commences) and prior to conducting other forms of jury research. Focus groups can be utilized to identify key characteristics of a venue and case issues. During this project, research participants are provided a number of prompts and are asked to respond to these prompts. This helps to determine the overarching issues in the case and to assess participants' attitudes and experiences as they relate to these issues. Feedback that emerges during the focus groups provides the groundwork for conducting subsequent jury research that is designed to isolate and test these important issues. This type of project can be very helpful in high profile cases that have received a lot of media attention, because the trial team can get an understanding of the impact of media coverage. Focus Group Research is specifically tailored to meet the needs of the trial team in terms of the number of issues tested, and the order in which they are raised in the groups. Issue Analysis Research is commonly used in complex cases to assess juror predispositions, case strengths and weaknesses, and juror comprehension; and, to begin building juror profiles. In very complex cases, this methodology has proven very effective for developing case themes and strategies. DDI offers two types of “mock trial” studies: Deliberation Group Research and Strategy Assessment Research. Each of these projects can be used as a follow-up study in complex matters or a primary study in less complex matters. These studies are designed to assess juror predispositions, case strengths and weaknesses, juror comprehension, and build juror profiles; and, to develop effective case themes and strategies. Video clips of witnesses may also be tested. The research design and goals of Deliberation Group Research and Strategy Assessment Research are similar. Deliberation Group Research utilizes a more comprehensive questionnaire which is designed for more complicated matters, and Strategy Assessment Research uses a less comprehensive questionnaire designed for relatively straightforward cases. Trial Simulations are multi-day studies that can range from two to five days and are designed to test jury selection, opening statements, witness examinations, and closing arguments. Experimental Designs are studies used to compare and contrast two or more strategic and thematic approaches to liability and/or damages. Witness and Expert Studies are designed to evaluate, compare and contrast the performance of several percipient or expert witnesses. Special Projects have different designs and methodologies to meet the unique needs of a particular case. Damage Studies are specifically designed to evaluate damage models. Juror Profiling Studies are used in significant litigation. These studies are designed to develop statistical models for identifying various juror types, including stealth jurors. DDI's experienced directors and consultants can work with clients on an hourly basis to assist with the development and refinement of trial themes and strategies, juror profiles, jury selection strategies, in court assistance with jury selection, preparation of the opening statement, trial monitoring, witness examinations, graphics, and closing arguments. These services are often provided to complement a jury research program, in situations where the case does not merit pre-trial jury research, or in instances when jury research is cost-prohibitive to the client. Over the years, DDI has worked with over 750 witnesses. Using our experience and the results of any research done on the case, DDI is often asked to assist in preparing witnesses to testify. The goal of this work is to help witnesses feel more comfortable with their roles, and to maximize their ability to communicate. These sessions are planned in advance and always conducted with counsel present. DDI has experience working with percipient witnesses as well as expert witnesses, and can assist with preparation for depositions, video depositions, trial, bench trials, and arbitrations. DDI's directors and consultants have over 60 combined years of experience in courtrooms throughout the country. With over 550 jury selections under our collective belts, we are comfortable in a variety of courtroom situations. Our experience includes jury selections in diverse urban venues as well as very small rural areas. We work with counsel to plan exactly what the consultant's role will be, where the consultant will sit, and what services the consultant will perform. Our jury selection services include developing juror profiles or characteristics, writing voir dire questions, drafting written juror questionnaires, evaluating responses on written juror questionnaires, and in-court assistance. Notably, the founders of DDI were pioneers in the early development and use of written juror questionnaires. Our goal is to draft questionnaires that are short, will identify hostile jurors, and are acceptable to opposing counsel and the Court. Upon receipt of completed questionnaires, DDI will evaluate juror responses, rank jurors, and meet with counsel to prepare for the oral voir dire. Once trial has commenced, DDI can provide trial monitoring services that offer the trial team immediate feedback on the progression of the trial from a juror's perspective. Trial monitoring can take the form of the individual consultant sitting through the proceedings and providing feedback to the trial team, the consultant bringing some mock observer jurors to the courtroom and gathering feedback for the client, or full shadow juries. Dr. Swain was among the first trial consultants to establish methods for properly conducting shadow juries. As trial proceeds, there may be a need for special studies to be conducted, and DDI can design and run these studies. At the conclusion of a trial, it is often very useful to talk with the jurors to obtain their reactions to the opening statements, witnesses, exhibits, graphics, experts, and closing arguments. 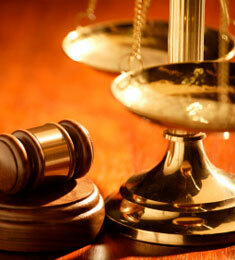 However, jurors are sometimes hesitant to speak openly and honestly to the attorneys. DDI can follow up with jurors and obtain more detailed interviews with jurors and report the findings to the trial team. Post trial interviews are very helpful in serial litigation or in situations where the same attorneys or witnesses will appear in similar cases.